A more comfortable fleece jacket than the Ayacucho Inverno II would be hard to find. 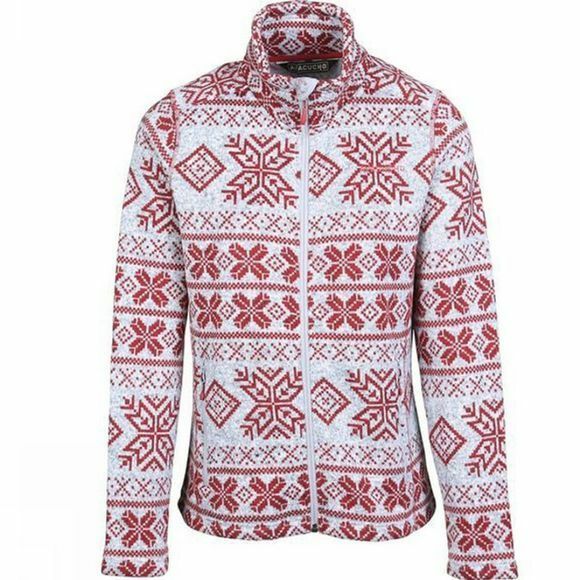 A warm jacket made of a wonderfully soft 300-gram fleece with a classic knitted look and a traditional Scandinavian pattern. 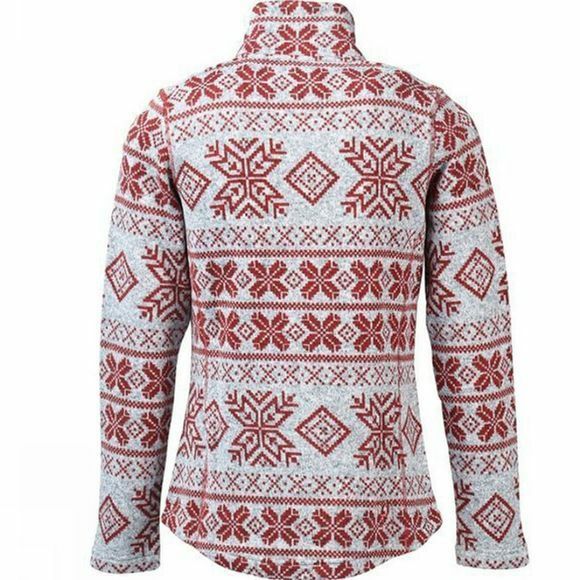 Perfect for skiing, hiking or a winter’s sightseeing walk around the town. Two deep hand pockets with zips offer you space to warm your hands or to stash away those little essentials. With the full-length zip, you can decide for yourself how much ventilation you want. Wear the jacket open for a bit of fresh air or snuggle up in it if a fresh breeze starts blowing. You can get additional warmth by pulling on the spacious hood, with a cinch cord as an attractive and functional detail.